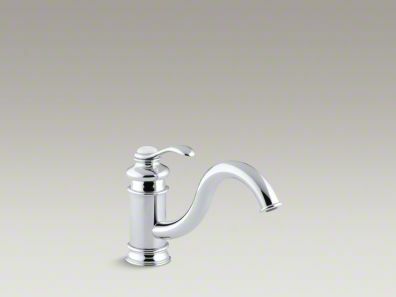 Reflecting the glamour of a bygone era, this Fairfax faucet offers an elegant finishing touch for your kitchen sink. 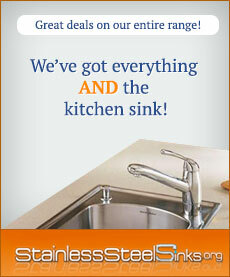 The single-handle faucet with arched swing spout features a decorative white plug button as an accent. Includes one white ceramic plug button. Ceramic disc valves exceed industry longevity standards by over two times, ensuring durable performance for life. Flexible supply lines simplify installation.